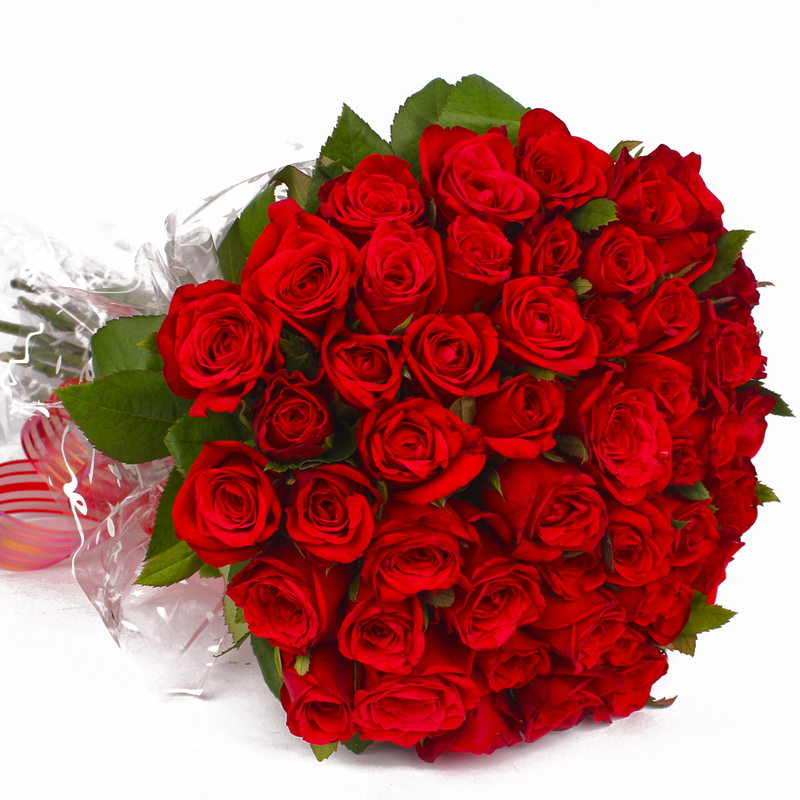 Product Consist : 50 Red Roses with green fillers in Cellophane Paper Wrapping with Ribbon Bow on it. 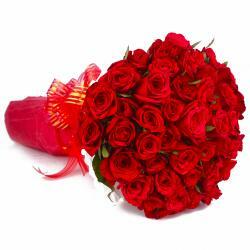 A surprise which will create a magic all over will be a bunch of 50 red roses tied with a matching ribbon bow. 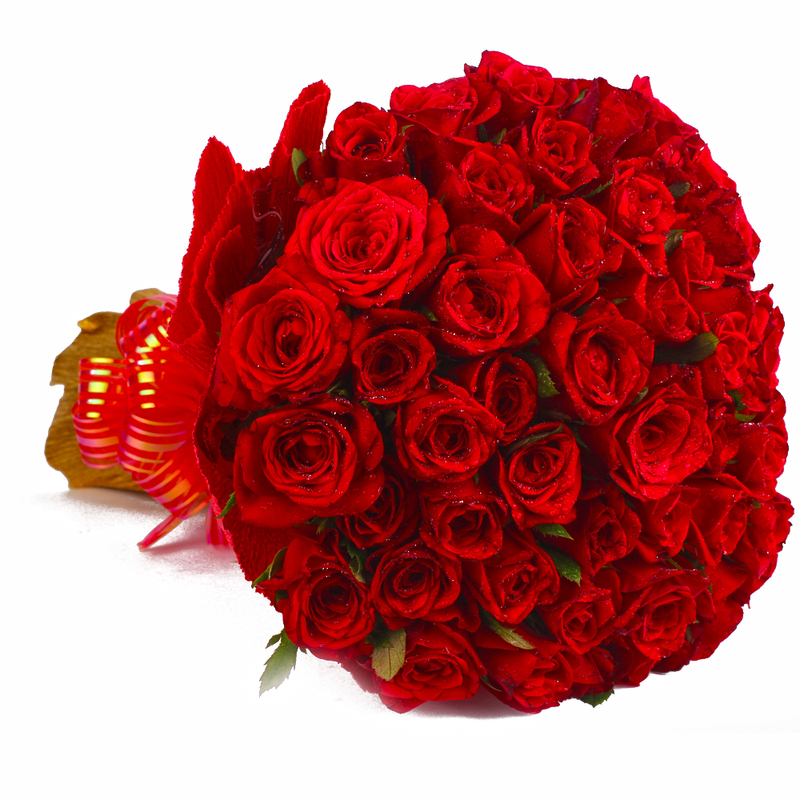 The red roses are especially handpicked which are fresh and moist. 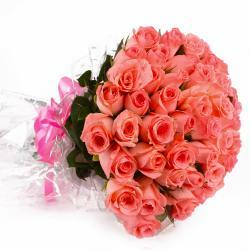 The angelic fragrance of the roses will convey your deep heart feeling to her / him and will tell him how you love him and you promise to be with him for the another 100 years. 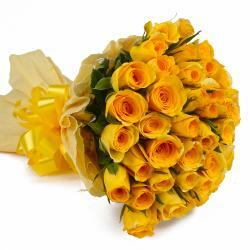 This flower is perfect for occasions like Birthday, Anniversary, Good Luck Gifts, Gudi Padwa / Ugadi, Daughters Day This bunch is decorated with white colour tiny flowers giving it a very classy look. 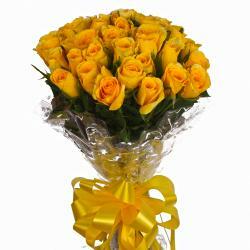 Product contains : 50 Red Roses with green fillers in Cellophane Paper Wrapping with Ribbon Bow on it.